Aurender – calling music lovers. 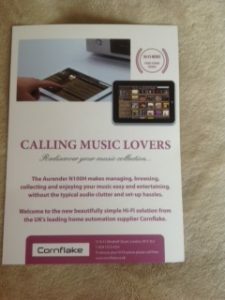 Aurender - calling music lovers. Having helped audiophiles to build and fine tune their Hi-Fi systems for over 30 years now we’d like to think we know a good thing when we hear it. And we’ve just heard something exceptionally good… meet the Aurender N100H. 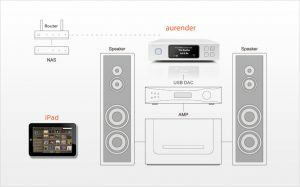 The new Aurender slimline music server/player makes managing, browsing, optimizing, collecting and enjoying your music easy and entertaining – without the typical “audiophile clutter” and set-up hassles. In fact, we’re so impressed by this magic little box, our hi-fi guru Peter Miller will happily bring a demo model round to your home and demonstrate the difference it makes, even to the most high-end music systems. Gauntlet thrown! 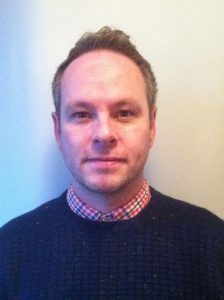 To book an appointment with Pete call today on 020 7323 4554. The N100H Server/Player accesses and plays music stored on an internal drive and allows users to expand their music collection ad infinitum without worrying about capacity constraints. Featuring Solid-State-Drive (SSD) cached playback of the 2TB internal or NAS or USB attached drives (via its 120GB SSD) means both internal and external drives can be used to store music. When music is selected, it’s quickly loaded into the SSD cache drive for playback. This technique not only eliminates noise, jittering and vibration, but greatly reduces wear and tear on the main storage drives. A machined aluminum chassis includes a smart 3-inch AMOLED display that displays information such as artist name and song title or Source Level Meters in a choice of two colour schemes. The N100H is also designed as a companion to the elegant matching machined aluminum Aurender X725 DAC/Amplifier – simply add a pair of quality stereo speakers to bring high-performance, high-resolution sound to your home, office or boat, with far fewer components and cables than the typical analog system requires. The new N100H includes one of the industry’s most convenient features: Remote Internet Technical Support, which makes troubleshooting simple. Users can simply send a Remote Support Request via the Aurender Conductor app, and engineers will quickly diagnose and fix problems over the Internet. 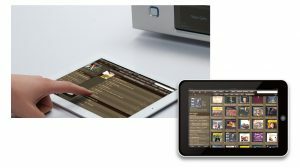 Control the N100N Server/Player with the unparalleled Aurender Conductor App for iPad (or the new Android “Lite” App). The app was designed and engineered in-house by Aurender’s software developers to perform optimally and swiftly with very large music collections in mind. All settings and functions of the N100 can be easily accessed through the Settings menu. The playlist-based app intuitively allows you to view your collection by Song, Artist, Album, Genre, Composer, Conductor, or Folder. You can also filter these results by Genre, Favorites, and even by file resolution (DSD, 16/24-bit, etc.). The Aurender Conductor App continuously receives praise in the press and in the field as one of the best companion Music Management apps available, with lightning-fast browsing and searching. If you’d like to hear a good thing Pete would love to hear from you. Bet you’ll want one! PS: We’re so impressed we’re distributing flyers in several postcodes this month. If you don’t receive one and would like more information or general Hi-Fi advice please call Pete for a chat.